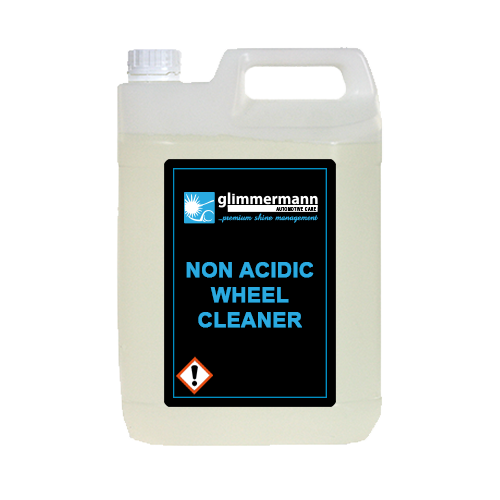 A professional wheel cleaner that has been specifically designed to make cleaning alloys simple and effective. This special formula removes brake dust, road film and all types of stubborn dirt. It can be diluted up to 1:20 however we recommend 1:8. Spray onto wheel, tyre and under the arch, leave for 3‐5 minutes then rinse off. Agitate with a soft brush. For optimum performance rinse using a pressure washer.